Screenshot of the new website! This new website will be used as one of the web based focal points relating to our public participation at the United Nations initiative. 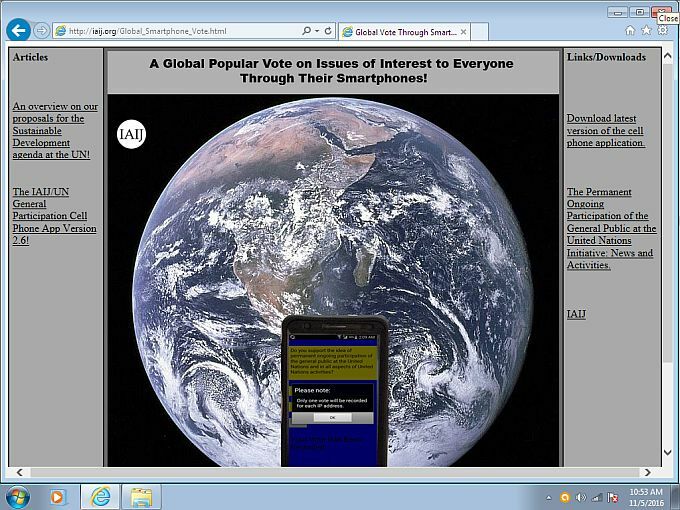 The website will feature articles, smartphone application downloads, and news and updates with regard to a possible worldwide popular vote at the United Nations on global issues of interest to all.